We love our video games and VR, but sometimes you can't beat an awesome board game. Play mad scientist with the COGZ Board Game, now $33.99 at Escapist Deals. Great for adults and kids alike, this Mensa-endorsed game set in the steampunk era challenges you to repair a mad professor's chromatic cogtraption. You'll learn new skills and strategies the more you play, so the game gets more fun every time. Playing time is typically just 30 minutes, perfect for when you don't have time for a whole board game night. Another major perk? It's optimized to be accessible to many color-blindness limitations. 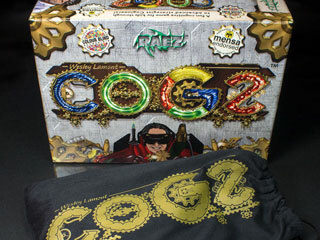 Get the COGZ Board Game for $33.99 at Escapist Deals.